Windows, just like anything else in your home, age and need to be replaced every so often. Even if your windows aren’t too old, you may still benefit by upgrading to energy efficient windows. Window replacement services can breathe new life into your home by increasing curb appeal and energy efficiency. Since windows come in all shapes and sizes, with options for glass and frames, you’ll be able to personalize your home while simultaneously reducing your carbon footprint. Windows do much more than let the light in. They play a major role in keeping your home comfortable throughout the day. If you run your air conditioner during the day, you want the cool air to remain inside your home. If your home has old windows or windows with drafts, the air may leak out. This situation will result in your A/C unit running more than it should be, eventually leading to more energy waste. A great way to curb your energy bills is by replacing your windows. Energy-efficient windows—such as double-pane, gas filled options—are able to better insulate your home while providing more sound proofing qualities, all while cutting down on UV rays. Although the average lifespan of a window tends to be from 15 to 20 years, there can be many signs that it’s time for a replacement. Drafts and high energy bills are the most common signs. If you tend to have difficulty opening or closing your windows, then it may be a sign of age. Condensation between the panes of a double-pane window is a sign of a broken seal which means the window is now not as efficient as it was originally. If you’ve noticed this, it’s time to consider window replacement. When you decide on window replacement services, your home will benefit greatly. Not only will your home be more energy efficient and comfortable, it will also be safer and boast an increase in value and curb appeal. Simply put, window replacement can lead to a variety of positive outcomes for homeowners in the El Paso area. 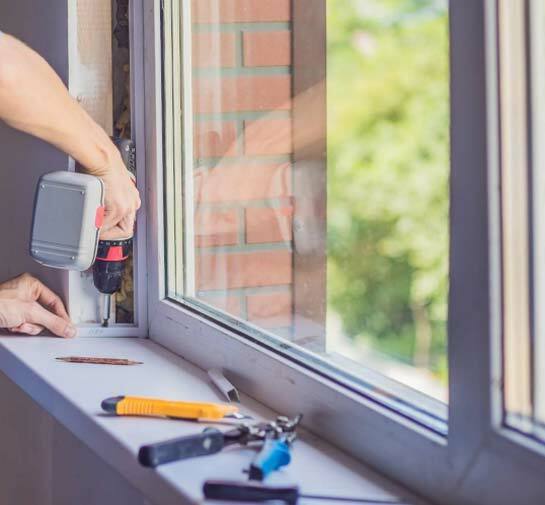 In order to guarantee maximum efficiency, it’s paramount for homeowners to choose a reputable team to perform the window replacement services. If you’re ready to boost your home’s efficiency and curb appeal, choose Trim Team.